A restyled logo for a local startup brand. 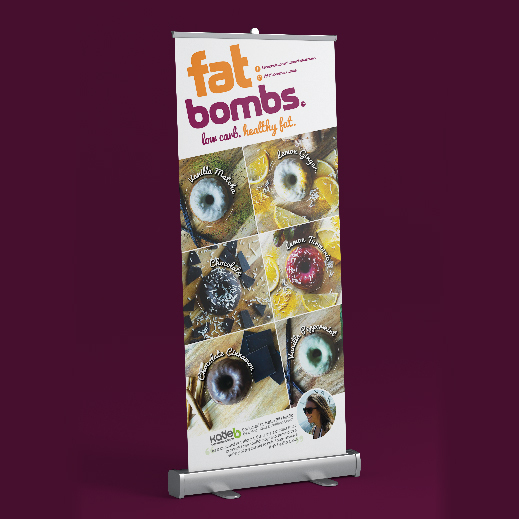 The main orange colour was retained and matched to create a striking and vibrant logo to promote the new low-carb and healthy fat snack to hit the streets of Perth. A 6 page DL brochure has all the nutritional information needed with delicious imagery. 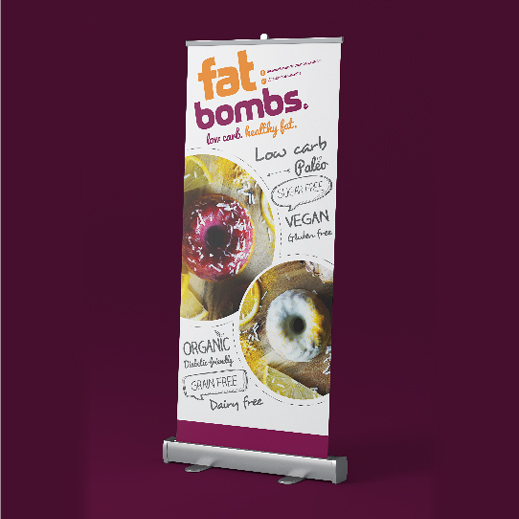 Pull Up Banners include striking imagery to ‘pull’ you in for a tasty and healthy treat!